The Connemara marble tops are of the finest cut, displaying great veining and variation of colours. 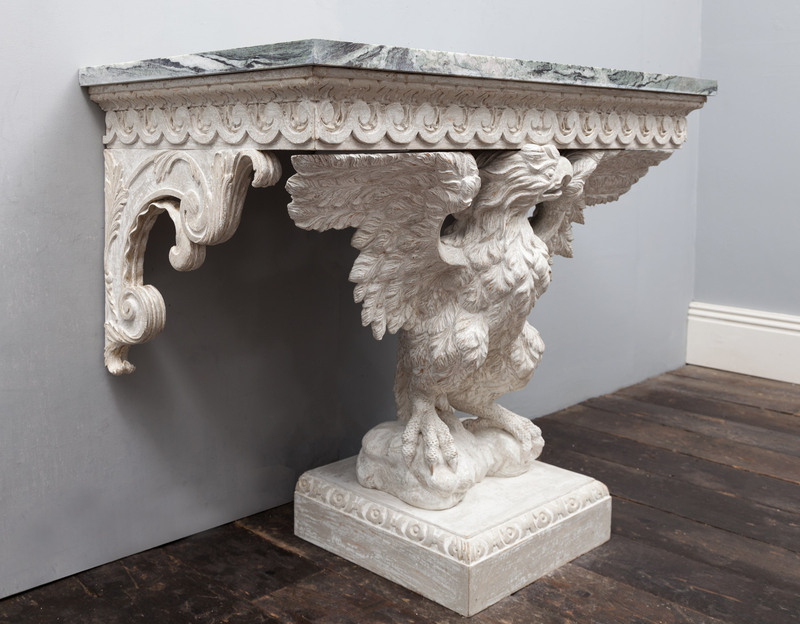 Each marble top is supported by a vitruvian scroll frieze, under two acanthus brackets and a large eagle with wings spread. 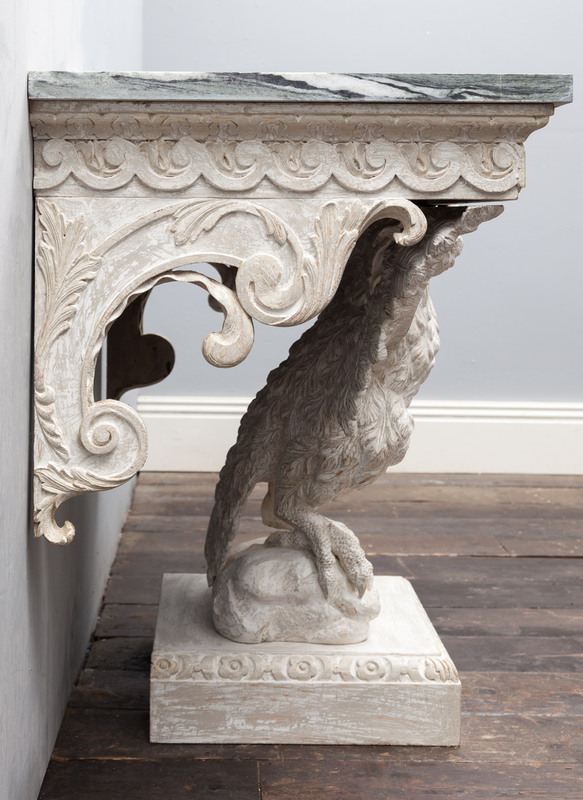 The eagles stand on rock-work bases with carved moulded edges of flower and dart. 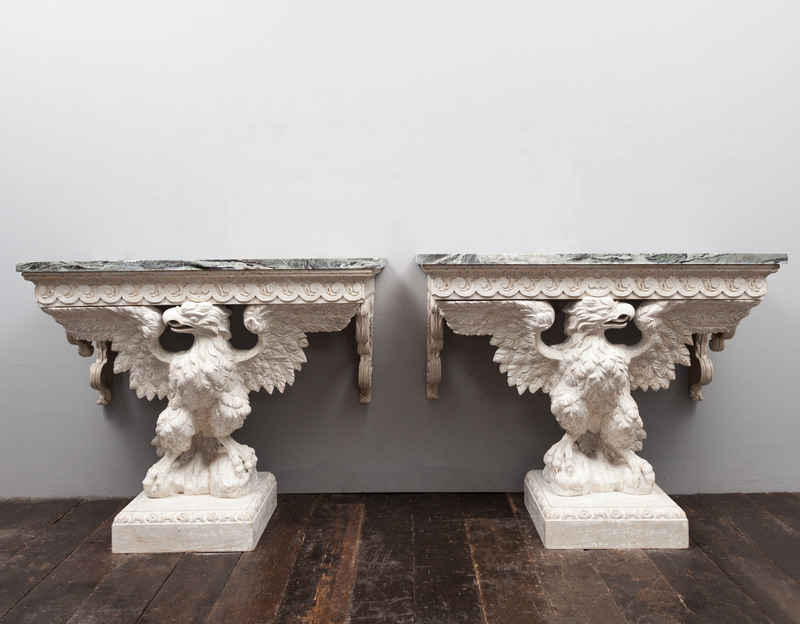 The carving and quality of this grandly proportioned pair of tables is absolutely superb. 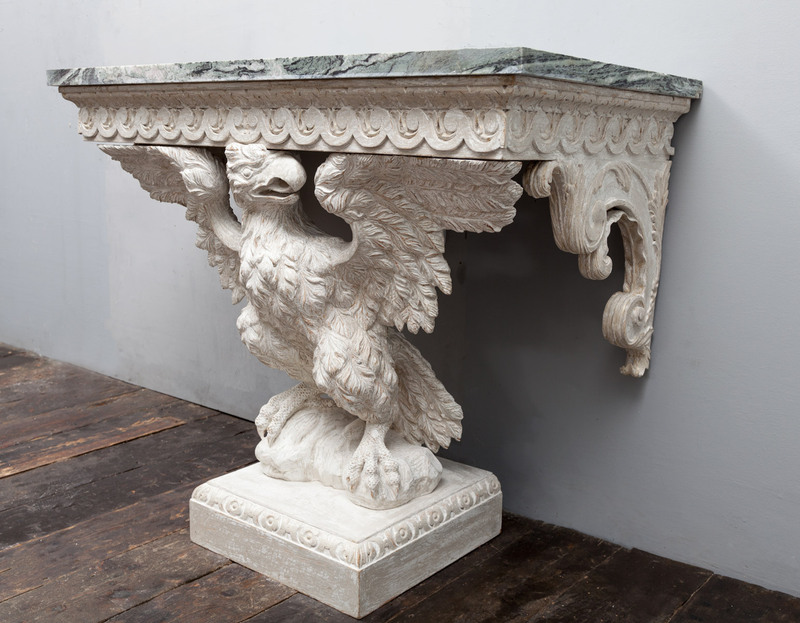 The bases are carved pine, with an 18th century Palladian style, stone painted finish.